Some years ago, Microsoft’s online email service was called Hotmail. 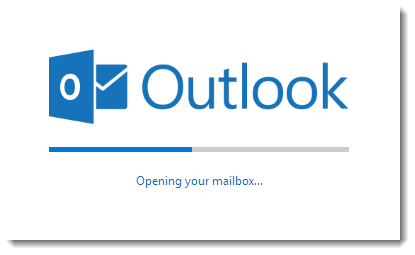 Now, Microsoft calls it Outlook Mail. This is where people got confused with the terminology. If you go to hotmail.com, you will be redirected to outlook.live.com. They are just the same thing with different names. First and foremost, Outlook Mail is the new name for Hotmail. If you own a Hotmail account prior to the name change, your account would still be in tact. Nothing has changed except for its name. All you have to do is insert your account details in the new sign in page to sign in to your account, like how you would in the old Hotmail page. All your emails in your inbox, starred, junk folder, draft, archive or anywhere else would be in exactly where there were. 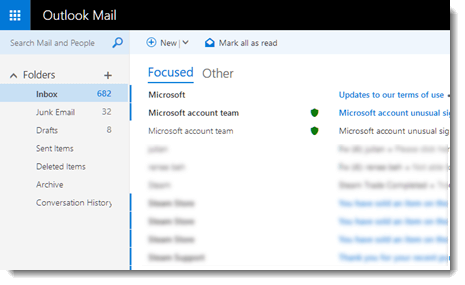 In the new Microsoft’s Outlook Mail, the client interface has changed a little for improved and better user’s experience. 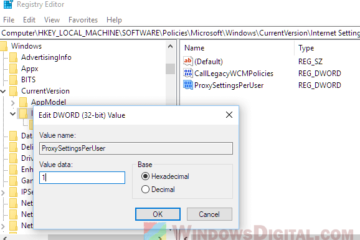 You can sync your local Microsoft’s Outlook client from your computers to the web version of Outlook and vice versa. You can also sync your outlook’s calendars, contacts etc to other services such as Google Calendar or any local app on your iOS or Android device. Outlook Mail can be accessed via the old www.hotmail.com URL, outlook.com, live.com or msn.com. However, in msn.com you will have to click Outlook from the panel to access Outlook. 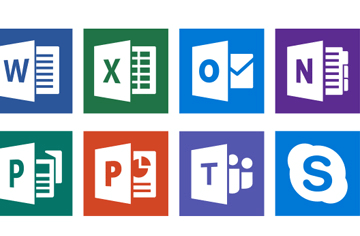 The benefit of signing into MSN instead is that you can also access to your Skype, Office, OneNote, OneDrive and other Microsoft’s services all at one place with a single login. For folks who need detailed instruction with screenshots, here’s how to login to your Hotmail account in the new Outlook mail. Go to outlook.com or live.com. Enter your email address in the Sign in field. You will then be redirected to your Outlook Mail account’s inbox page. 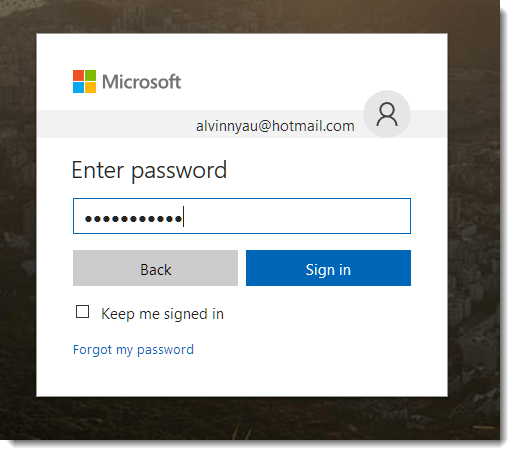 As a side note, during step 4 in the instruction above, if you want your browser to keep you signed in so that you don’t have to enter your account details and password again the next time you visit outlook.com, tick the “keep me signed in” checkbox when you sign in. This will allow the browser to remember your session. The next time you visit Outlook Mail on this browser in the same computer, you will automatically be logged in. Keep in mind that this would also endanger your account’s safety if you accidentally tick “keep me signed in” in a public computer which anyone can use. That way the next person who access to Outlook mail on that particular computer will have access to your outlook account. If you don’t previously have a Hotmail or Outlook mail account, simply click on “create one” during step 1 in the instruction above. 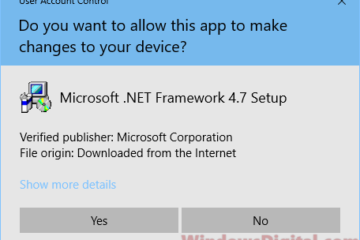 Did you ever create an outlook account during your first Windows 10 startup? If you did, you already have an extra outlook mail account. 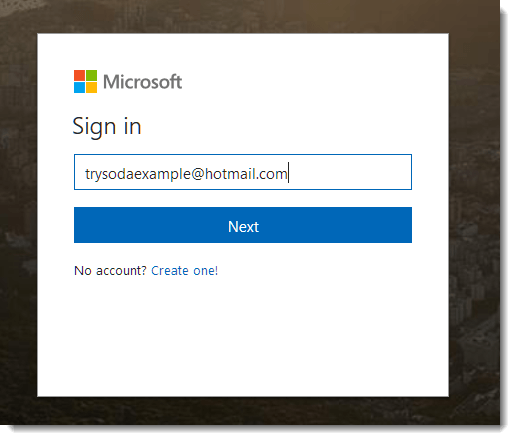 Simply sign in to msn.com with the account details you enter every time you sign in to your Windows 10. 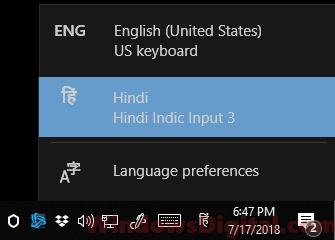 That account can be used in both your Windows 10 and MSN (or outlook.com). 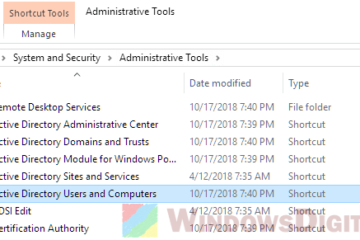 Description for sharing: Why is it not Hotmail.com anymore? 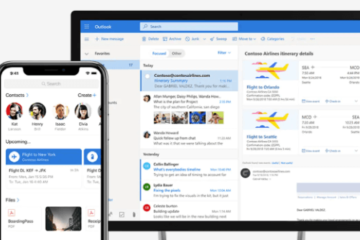 What is Outlook Email from Microsoft? What are the differences between these two services? Everything you need to know about Outlook and how to correctly login to your account.